Yeovil Town Ladies’ preparation for the new Women’s Super League season is well under way and, to help celebrate, the club held its very first open training session. 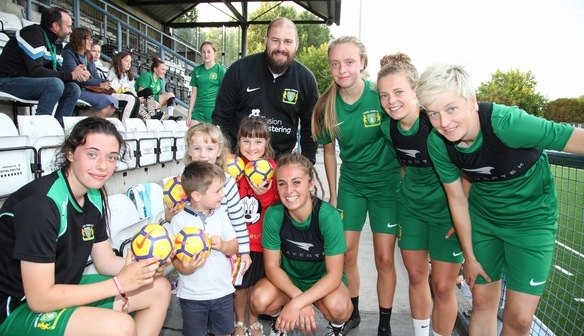 Fans were welcomed to the Glovers’ new home of Dorchester Town FC to get an exclusive look at the girls in action and were given the opportunity to meet the players and management. Not only were the girls put through their paces in a top-flight training session, they were also asked questions from the floor about what it is like to be a full-time footballer and their experience in the WSL. After training, the club hosted an evening for sponsors to show their appreciation for all the support they have already given. There was also a chance to hear chairman Steve Allinson speak about the upcoming season, as well as new manager Lee Burch. Main sponsors Fusion Fostering also took to the floor and explained why they decided to get involved with Yeovil Town Ladies FC and said the family feel of the club was one of the biggest attractions. After the event, Lee Burch said: “It was great to meet our sponsors and fans last night at our open training event. Getting the chance to engage with them is key to our development as a professional football club. “We have some excellent sponsors who do some great work and the players enjoyed meeting them. It was great they also got the opportunity to meet some of the young fans who they are potential role models for. Chairman Steve Allinson added: “It was an absolute pleasure to welcome fans, sponsors and partners to our open event. 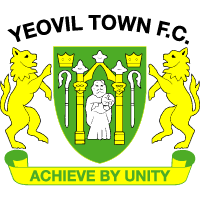 Spreading the message for Yeovil Town Ladies and women’s football across the South West is a crucial part of what we are about.